If you're a Floridian, from the seafood on your table, to the commercial freezers it was stored in, or even the concrete floor you stand on, it all likely came from within a stones throw of this Jacksonville neighborhood. Here's an in depth photo tour and summary of the rise, fall and possible rebirth of an overlooked section of downtown. Just west of downtown and nearly a mile in length, the Honeymoon Yard is where the CSX Transportation (CSX), Florida East Coast (FEC), and Norfolk Southern (NS) railroads converge. However, the name Honeymoon predates this important junction. Honeymoon was the name of Colonel Lucius Augustus Hardee’s mid-19th century residence. Employing many of his ex-slaves, Hardee built the lavishly landscaped Honeymoon estate to replace his 748-acre Rural Home Plantation that was destroyed during the Civil War. 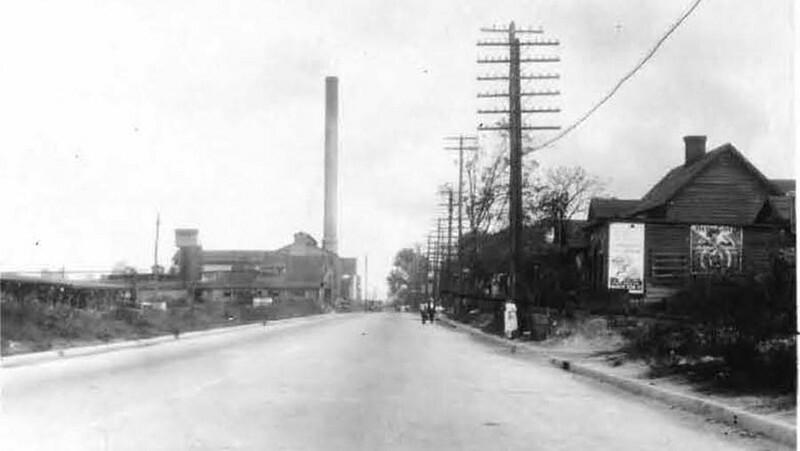 The intersection of Myrtle Avenue and Dennis Street in Campbell Hill in 1928. By the early 1890s, several railroad companies terminating in Jacksonville operated small isolated passenger depots. Seeing the need for a larger single terminal, railroad magnate Henry Flagler formed the Jacksonville Terminal Company in 1893. Prior to the opening of the first Union Depot at Bay and Stuart Streets, Flagler purchased most of Honeymoon to construct a railyard for Jacksonville’s new passenger terminal. In 1896, the railyard at Honeymoon was expanded to accommodate the sorting, storage and cleaning of passenger sleeping cars. Inside the Moore Dry Kiln Company (now USNR). Courtesy of the State Archives of Florida. The yards were expanded again to accommodate as many as 210 trains per day with the opening of the new Jacksonville Terminal in 1919. At its peak in 1944, nearly 40,000 trains, carrying 10 million passengers, passed through the station and Honeymoon Yard. At the time, the terminal had become Jacksonville’s second largest employer with 2,000 workers. The conglomeration of railroads heading into the Jacksonville Terminal resulted in the surrounding area’s rise as the place for heavy industry. By the 1920s, the land surrounding Honeymoon Yard had become home to many factories and mills as its many rail lines made for efficient transportation of goods and shipping of raw materials. 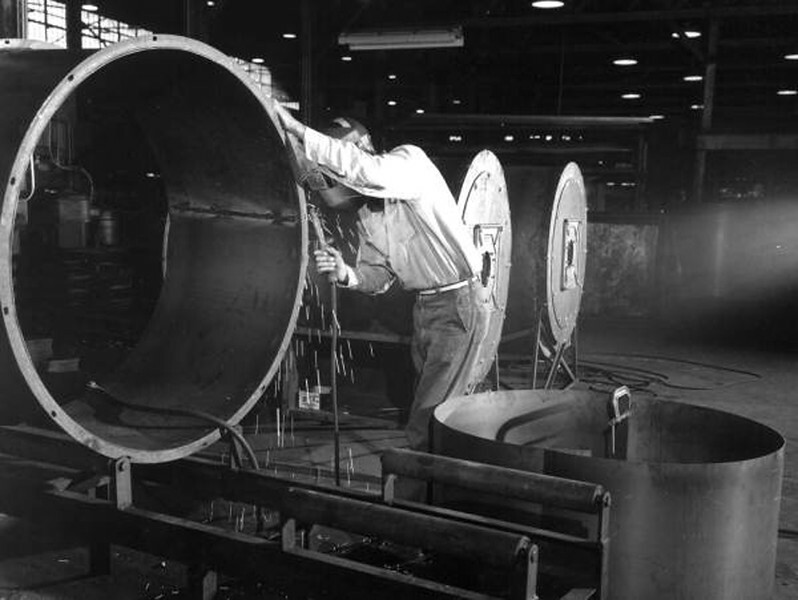 Early industrial tenants included Florida Machine & Foundry (iron and brass castings), Moore Dry Kiln Company (dry kilns), Florida Cotton Oil Company, Farris & Company Meat Packers (slaughterhouse), Gress Manufacturing Company (lumber) and the National Transportation & Terminal Company (naval stores). 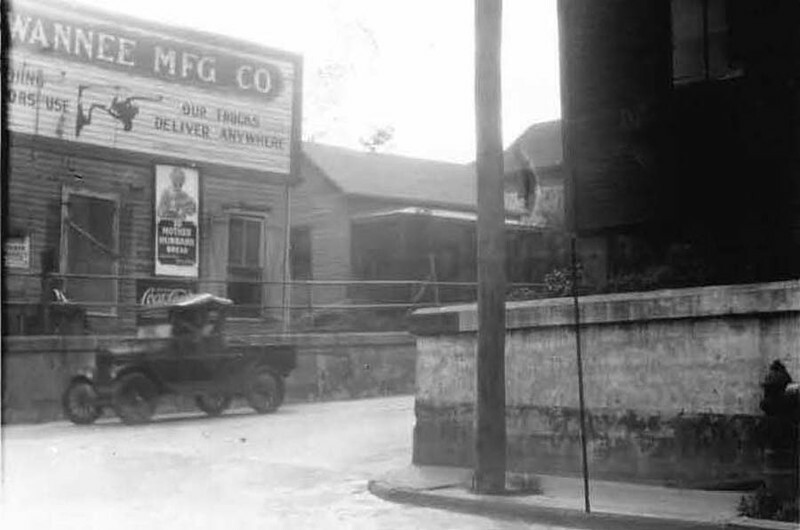 The Florida Cotton Oil Company on Dennis Street during the 1920s. This is the site of Cain & Bultman’s massive warehouse today. In addition, the shipping infrastructure built around the Jacksonville Terminal attracted wholesaling and distribution businesses. 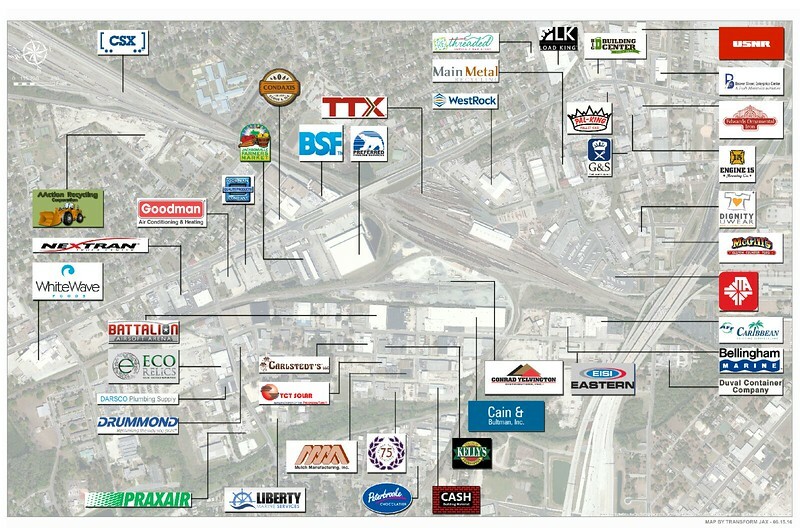 Wholesaling activity was bolstered by the development of the Railway Express Agency (REA). During World War I, the United States Railroad Administration (USRA) consolidated the country’s largest express companies to form the REA. Taking advantage of the city’s rail infrastructure, the REA opened a large packaging facility on Myrtle Avenue in 1925. With capacity for 250 railcars, it was believed to be the largest REA yard in the country. The REA was much like today’s UPS. Virtually everything was shipped by REA as “LCL” (less than car load) or a full carload. Items included fruit, fish, flowers, bicycles, coffins, zoo animals, pets, racehorse’s motion picture film, anything and everything. Aerial of the REA and Honeymoon Yard looking northwest from Brooklyn. Courtesy of the State Archives of Florida. 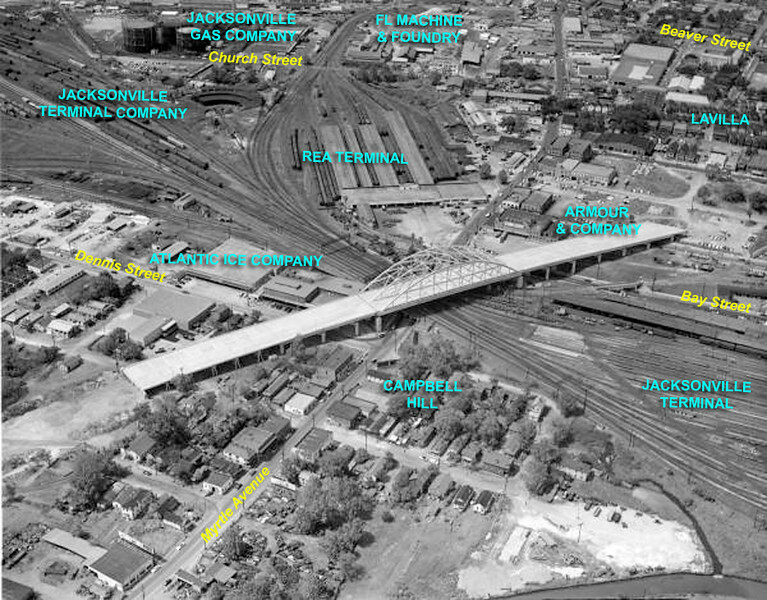 A few years after the opening of the REA terminal, the Duval Market & Association was established at the southwest corner of Myrtle and Adams Street. Adjacent to the REA, the market featured more than 40 vendors, including a barbershop, coffee shop and restaurant. In addition, for several years, a fish market operated next door. This market declined with the opening of the larger Jacksonville Farmers Market In 1938.